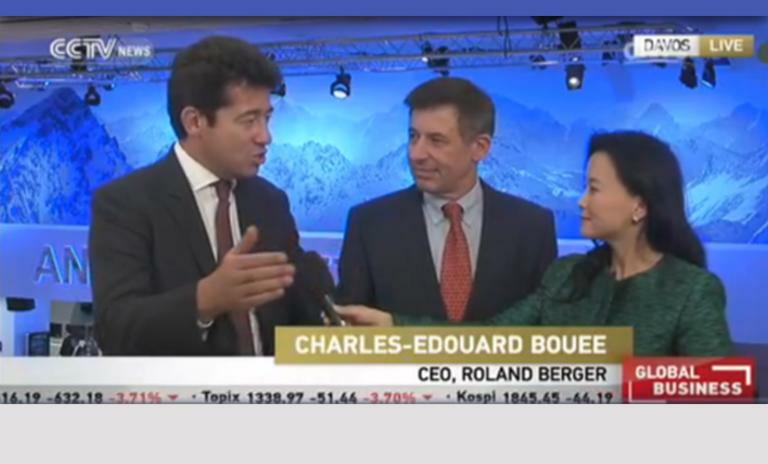 In two interviews at the World Economic Forum in Davos, Roland Berger CEO Charles-Edouard Bouée talked about the core challenges our world is facing. "We will have our robot or humanoid helping us with augmented capabilities." 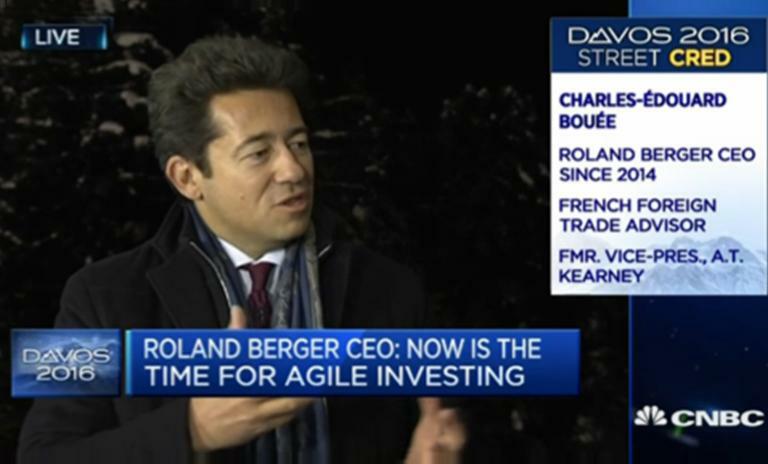 In his live interview on CNBC Bouée focussed on the challenges of digitization for business and society and its impact on the way we live and work (“on-demand economy”). The anchormen Steve Sedgwick and Geoff Cutmore asked about the study Roland Berger had published together with the Federation of German Industries (find it below for free download) on the risks and opportunities of advanced manufacturing for Europe. 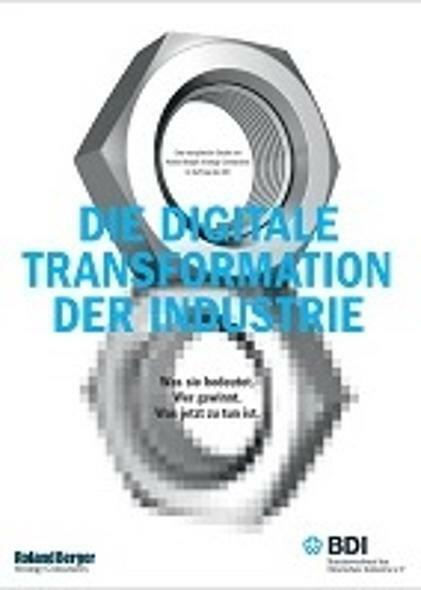 Accordingly, Europe could see its manufacturing industry add gross value worth 1.25 trillion euros by 2025 – or suffer the loss of 605 billion euros in foregone value added if companies and governments alike fail to turn the digital transformation to Europe’s advantage. Commenting on the atmosphere at the start of the WEF in Davos, Charles-Edouard Bouée refers to it as “gloomy”, as topics like volatile stock markets, security, refugees and emerging markets may be provoking uncertainty and fear. In the long-term, however, business leaders see a lot of opportunities, too, which may lead to major investments in technology in the coming years. In an exclusive interview with CCTV, Bouée and David Roman, CMO at Lenovo, talked about China’s role in the 4th industrial revolution. Charles-Edouard Bouée told CCTV anchor Cheng Lei that he is convinced China will be following the trends in all dimensions and coming up with new uses for new technologies. Digital intelligence and the emergence of robots will play a crucial role as future mega-trends: “We will have our robot or humanoid helping us with augmented capabilities,” he believes. Asked what would be the important issues at WEF 2016, Bouée commented that there will be a lot of talk about the economy and stock market turbulence and numerous future trends would undoubtedly crystallize out of the week in Davos. 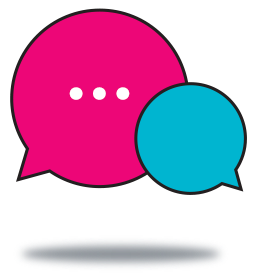 Implications of the digital transformation.